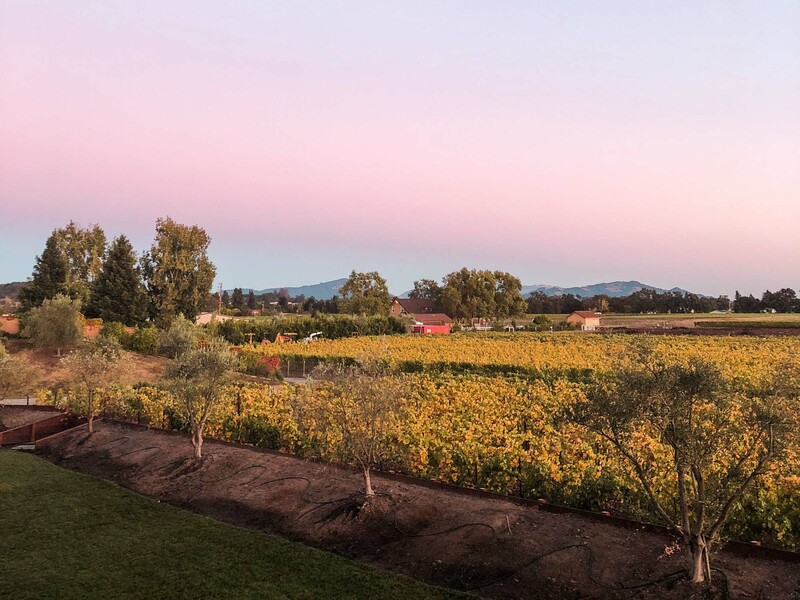 Sonoma County is the gloriously laid-back sister of glamorous Napa Valley, known for its down-to-earth rustic vibes and celebrated farm-to-table cuisine. It’s a place to slow down, connect to the land and unwind with a glass of wine in hand and the redwoods as a backdrop. 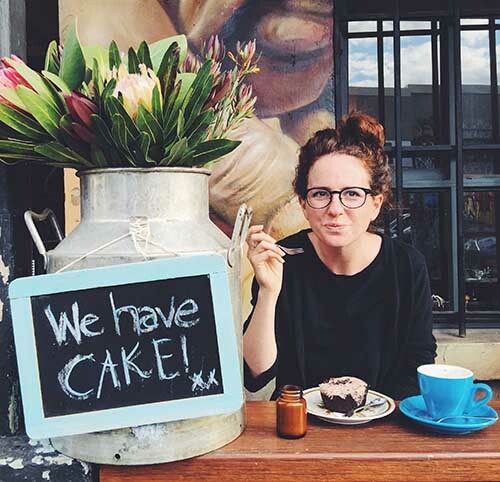 We fell head over heels for the place, and here are 19 reason why. It’s our pick of the best things to do in Sonoma County, California. We went there as part of our big California road trip. The number one pro of Sonoma County is its vibe – time slows down and you can’t help but relax. 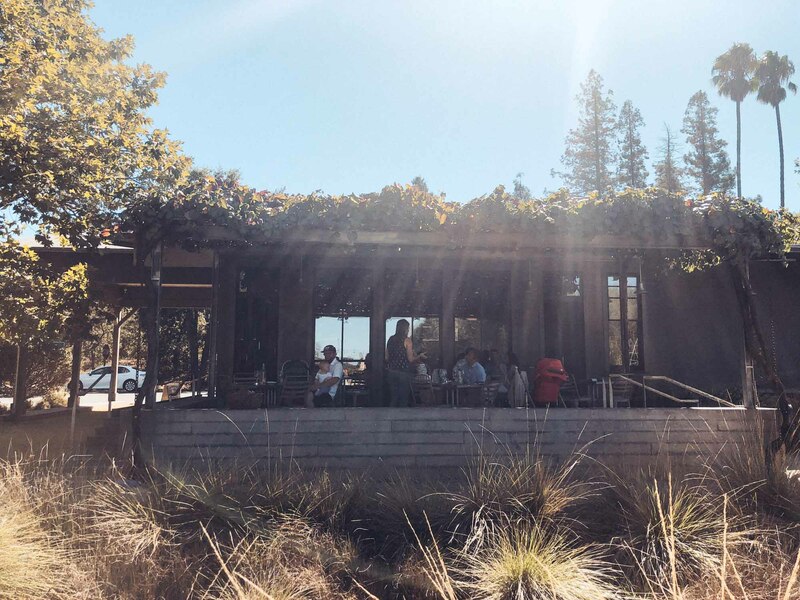 From walking through the redwoods to settling in for a long, wine-laden lunch in a vineyard, the whole county is filled with opportunities to unwind and rejuvenate. Plus its famously down-to-earth demeanour adds a cherry on top of everything that allows you to sink in that little bit more. It’s the ideal recipe for a laid back Sonoma wine country weekend. A major draw to Sonoma valley wine country is its abundance of excellent wine – and exploring the wineries is a muse when picking what to do in Sonoma. It’s home to 60,000 acres of vineyards and more than 400 wineries, spread over 18 distinct wine regions, all catering to different tastes. 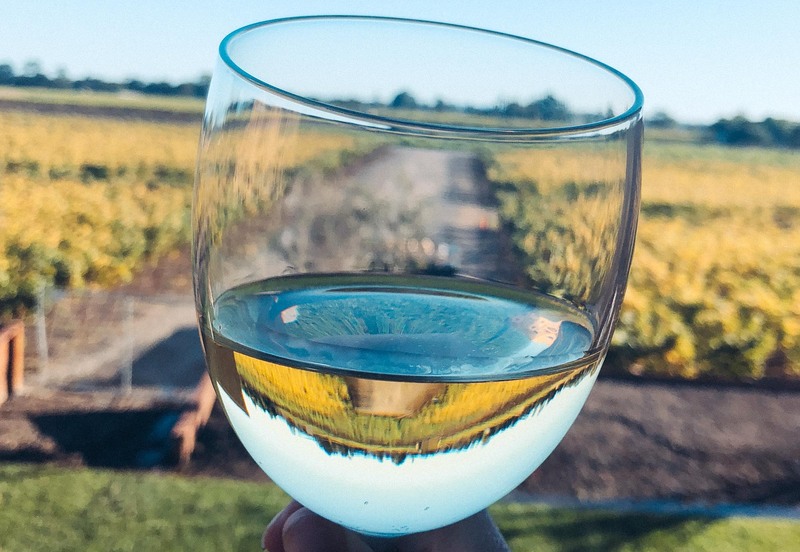 Chardonnay is the most popular grape in Sonoma wineries, followed by cabernet sauvignon and pinot noir, but there are over 50 grape varietals grown in the county. Some of the best wineries in Sonoma are small family-run producers where you can get a behind-the-scenes look at the world of winemaking and sample the wine at source. Sonoma County Tourism has a handy guide to all the wineries here. And if you have a four-legged friend with you, here’s a guide to the best dog-friendly wineries. Sonoma has a plethora of wineries that can be described as hipster, ticking the boxes of mindful, organic farming; tiny production, artistan wines; and modern-rustic design. For us, one of the best Sonoma wineries to visit is Medlock Ames, an eco-friendly winery in the Alexander Valley, started by two friends in ’98. The stylish tasting room has beautiful edible gardens and they host fun events, such as live bluegrass music. Other hipster options include: Scribe Winery; Kivelstadt; and Red Car Winery. Driving around wineries can pose a conundrum as you want to try all the wine, but can’t drink and drive. One good solution is to head to Healdsburg where they have at least 25 different tasting rooms to choose from, showcasing some of the county’s best wines. Options to choose from include: Banshee Wines; Ferrari-Carano Vineyards and Winery; and La Crema Tasting Room. It’s the ideal way to do your own Sonoma Valley wine tour. 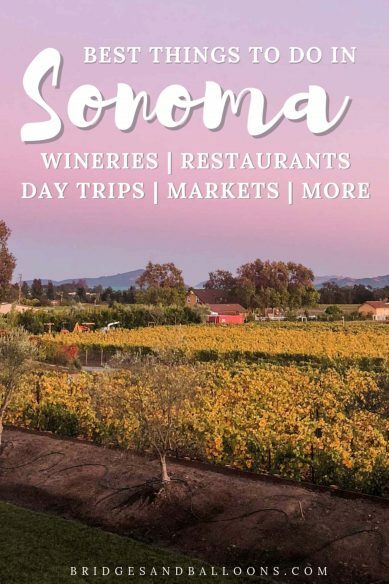 Oh my, Sonoma is a foodie paradise, especially known for its high quality farm-to-table cuisine, and visiting the county’s restaurants is one of the top things to do in Sonoma County. 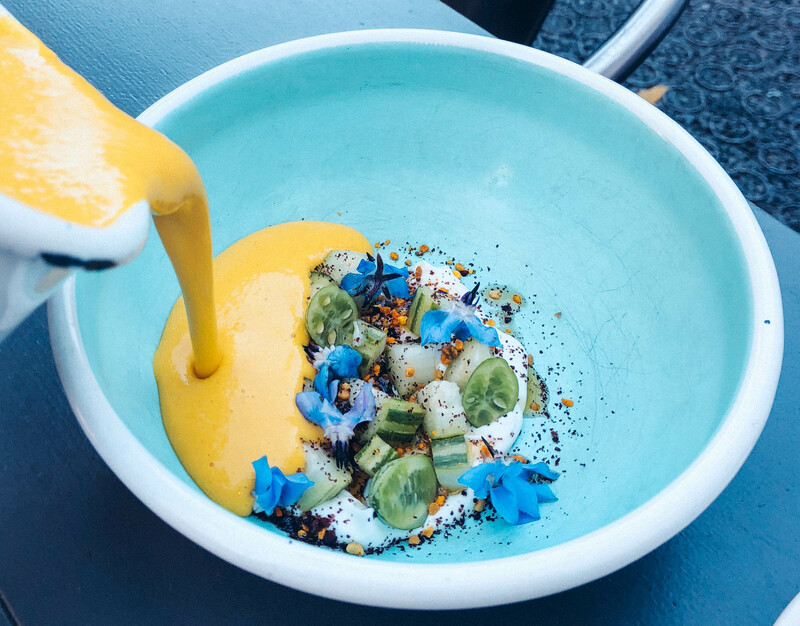 It’s the kind of place where you can linger over meals, savouring all the fresh flavours and pairing them with local wines. Some of the best restaurants in Sonoma County include Backyard; The Girl & the Fig; Valette; and the Glen Ellen Star. Sonoma county isn’t just fertile land for vineyards, it’s also home to all manner of sustainable agriculture, and one of the best ways to see the abundance is by visiting one of the many local farmers markets. There’s one open almost every day. See a full list here. Sonoma County is home to dozens of artisan cheesemakers and there’s a dedicated cheese trail you can follow to explore them. We didn’t get to do it this time, but our friends Erin and Simon at Never Ending Voyage loved it. I was completely overwhelmed by the amount of gorgeous cabins that are on offer in Sonoma County, especially around Forestville. It seems that many San Francisco hipsters like to create outposts in the region, decorating them from the pages of Anthropologie and always adding a retro record player and well-curated vinyl collection. It’s precisely the style I love, so it took me ages to finally choose. 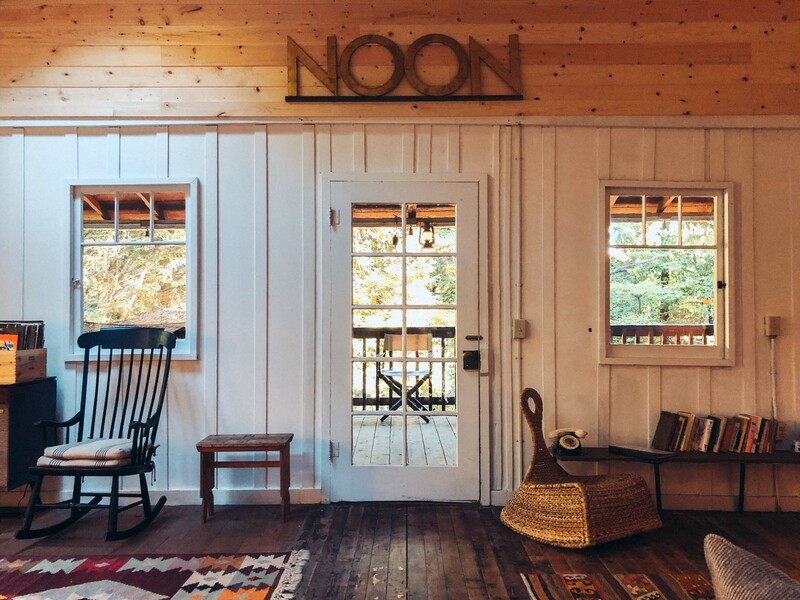 We stayed at Camp Noon, which was all I’d hoped for and I think one of the bets places to stay in Sonoma. Check the latest prices on AirBnB, and use this link to get £25 off your first stay. 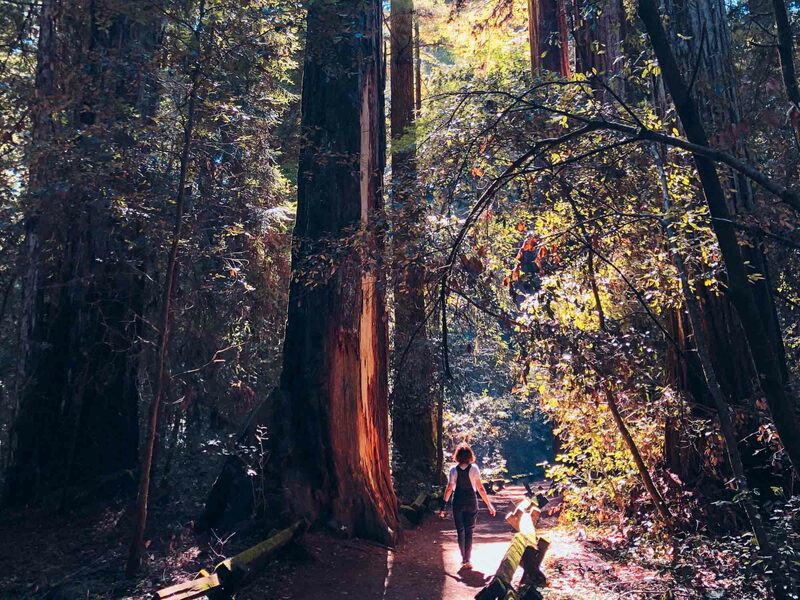 Northern California is abundant in redwoods and Sonoma is home to the 805-acre Armstrong Redwoods State Natural Reserve. It’s a modestly sized park, but nonetheless awe-inspiring with its collection of magnificent trees. We enjoyed doing a self-guided walk through the reserve, spending about an hour amid the trees. The oldest tree there is 1,400 years old. 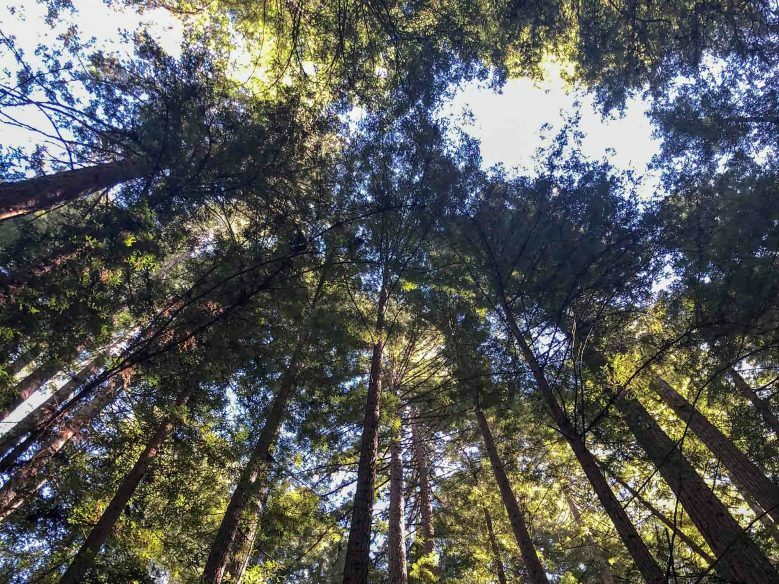 Visiting the redwoods was one of my top Sonoma things to do. One thing we didn’t get to do in Sonoma due to time was visit the coast, but it’s high on our list for next time.The rugged coastline looks sublime with highlights including Bodega Bay, the beaches at North and South Salmon Creek; and the myriad hiking trails. We’d also have loved to do the drive from Occidental to the sea, which is said to be one of the most beautiful in the county. The scones at Wildflower Bread bakery deserve a special mention because they’re nothing short of spectacular. The huge, whipping cream scones come in flavours including espresso, ginger, white chocolate and hazelnut, and are the best I’ve ever tasted. Don’t miss them! Sebastopol is a fun place to visit, not least because of its collection of quirky junk sculptures that dot the town, and also line Florence Avenue. 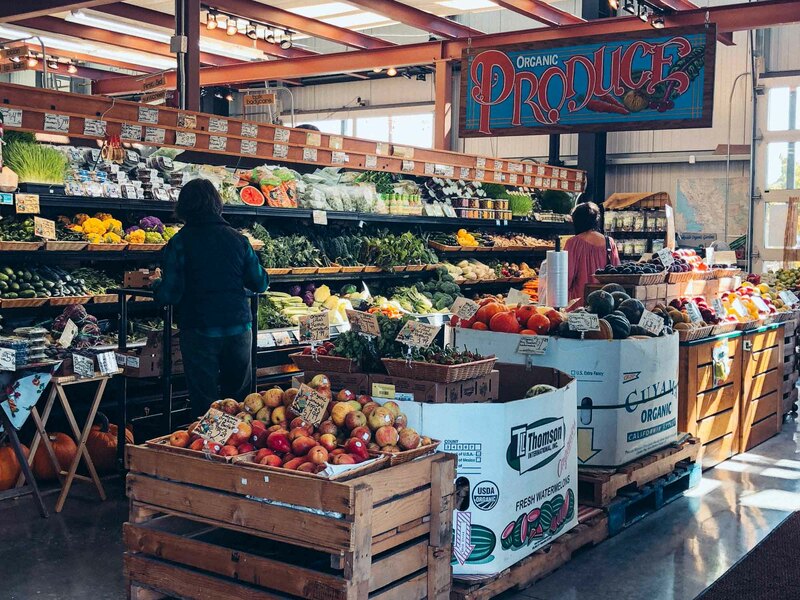 While there, also visit the Barlow, an outdoor market that’s home to a fantastic farm-to-grocery store and a collection of restaurants serving local, Sonoma cuisine. Sebastapol should top lists for art lovers when deciding what to see in Sonoma. 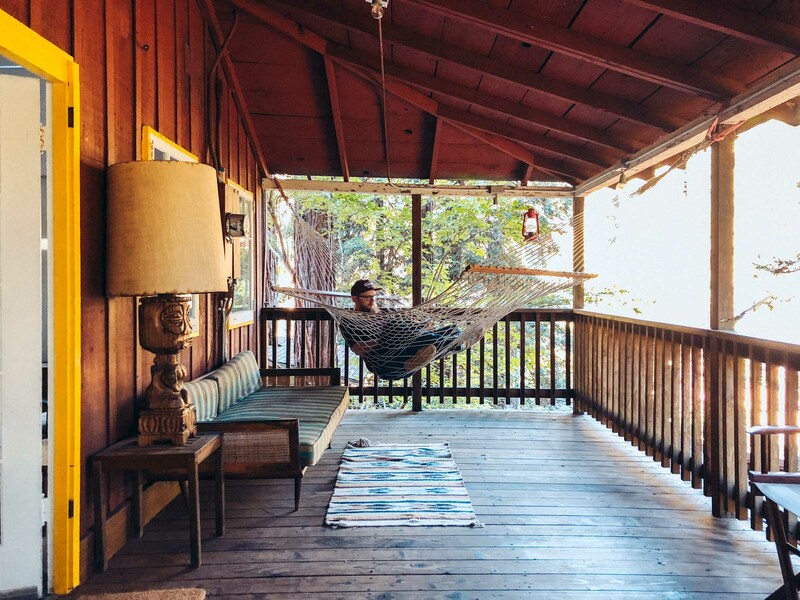 Guerneville has long been a holiday spot for San Franciscans and is a particularly popular destination for LGBT holidaymakers. Set on the Russian River, it’s a relaxed outdoor playground where floating downstream by kayak, dingy or inner tube is one of the most fun things to do in Sonoma County. And don’t forget to explore the rustic main street of Guerneville where hippy meets hipster in a collection of eclectic stores. One of the highlights of our stay was our night at the historic Camellia Inn, a charming family-run guesthouse housed in a beautiful Victorian home. It’s was the epitome of thoughtful hospitality and a wonderful place to meet other guests – be that at the daily wine and cheese hour, or the communal morning breakfast. 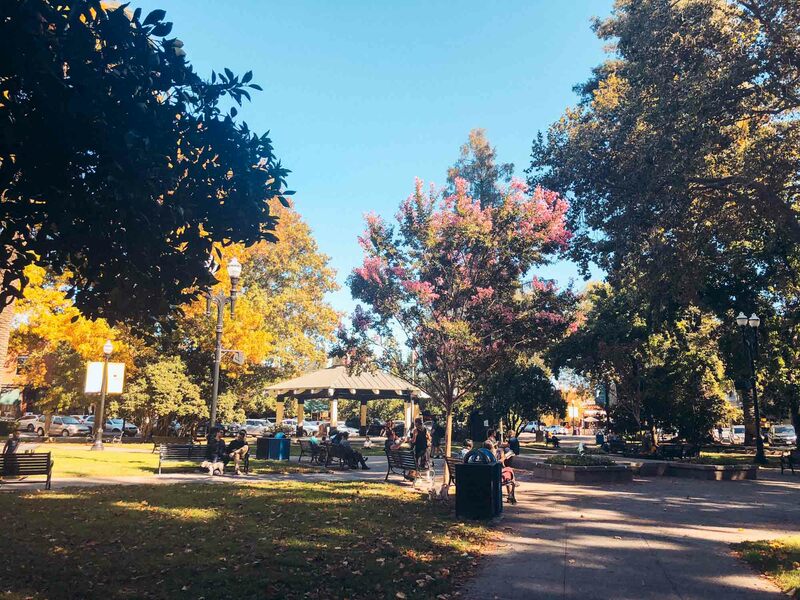 It’s also just a few minutes walk away from Healdsburg Plaza, so is an ideal base for your stay, and one of my top picks for where to stay in Sonoma County. 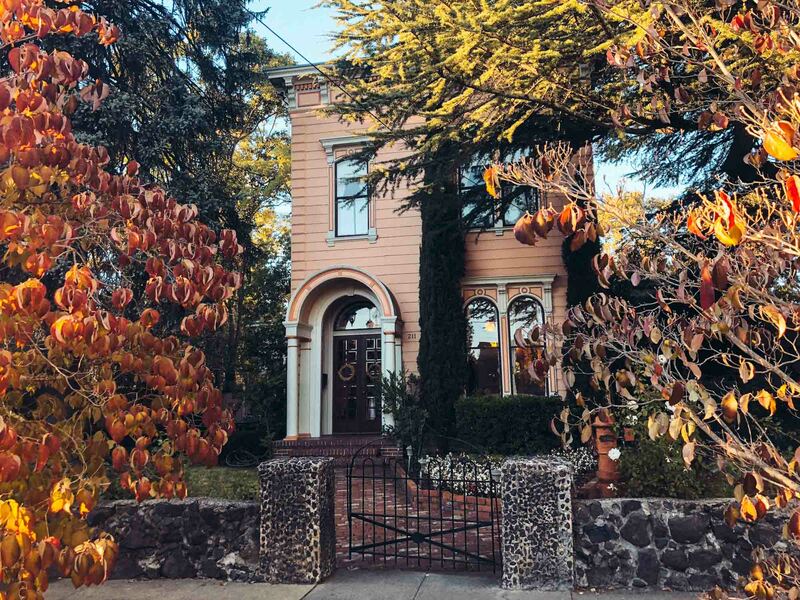 If you’re looking for a charming place to stay in Sonoma Valley, definitely try a historic Sonoma bed and breakfast. 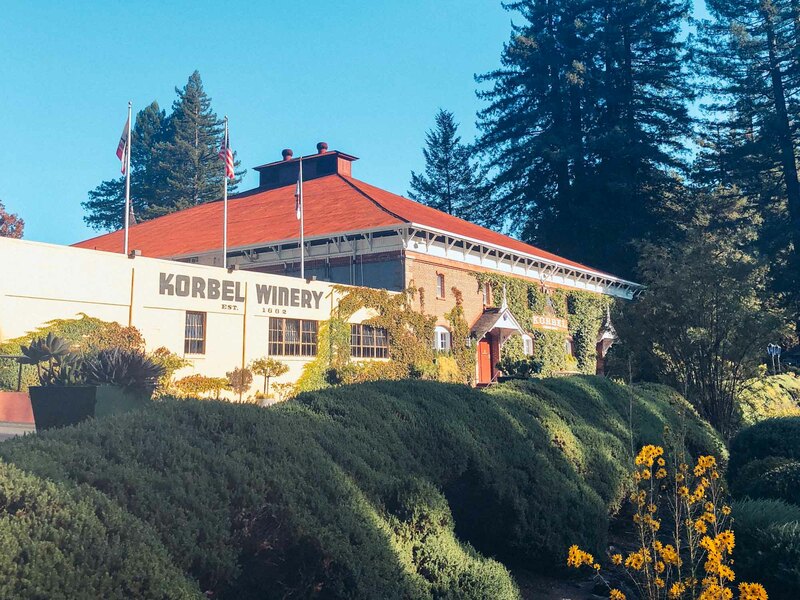 Korbel Natural Champagne has been served at presidential inaugurations since 1981 and the winery itself is the longest operating champagne house in Northern America. You can visit the tasting room and get a complimentary tasting of up to four champagnes, including the famous Korbel Natural. And they also offer free tours of both the winery and garden. It’s one the best Sonoma wineries in Sonoma Valley. If you’re looking for a bit of spa time, Sonoma has not shortage of options, but one that comes highly recommended is the Osmosis Day Spa where you can try a Japanese cedar enzyme bath,which involves bathing in ground cedar and rice bran, which is said to stimulate your metabolism and deliver a radiant glow. If you’re heading to Sonoma from San Francisco, you might notice the temperature gets significantly warmer. However this does somewhat depend on where you go as the various microclimates mean the coast can be up to 15 degrees Fahrenheit cooler than the cities. As a rule of thumb, Sonoma Valley has a Mediterranean climate meaning it rarely drop below freezing even during the rainy winter months. I’m a huge Gilmore Girls fan, so I was delighted to find that Healdsburg Plaza is decidedly reminiscent of the Stars Hollow town square. Go there to fulfil your Gilmore Girls dreams – there’s even a atmospheric bookshop where you pretend like you’re Rory! 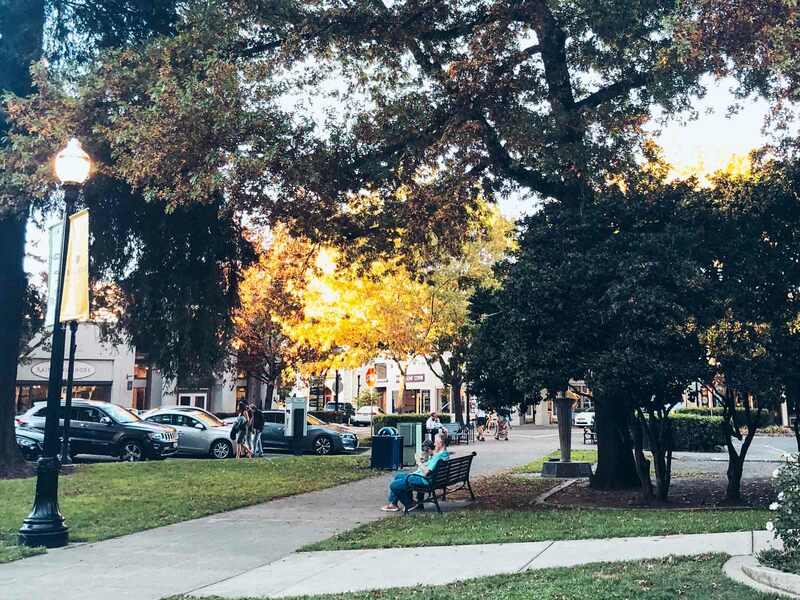 For a Gilmore Girls fan, it’s one of the top things to do in Healdsburg, CA. The geography of Sonoma is part of what it makes it so special. Made up of valleys, mountaintops, plains, riverbeds, ocean cliffs, forests and beaches, its the perfect place to ask in natural beauty. For me, the best of Sonoma Valley was the redwoods, but there are landscapes to suit every taste. Enjoyed this post? Save it on Pinterest. We went to Sonoma as part of a one-month California road trip. Read the post to find out about everything else we did on that journey, including how much it all cost and where we stayed. For car rentals, we recommend booking with Rentalcars.com. That’s who we booked with, and we find they always have the cheapest deals for mainstream retailers. We also have full, detailed itineraries for many other destinations, including 5 days in Iceland; 10 days in Japan; a road trip from Florence to the Amalfi Coast; a South Africa honeymoon guide; and the ultimate road trip in New Zealand. See all our travel itineraries. And if you do this trip, you might also like to add on a trip to Portland like we did. 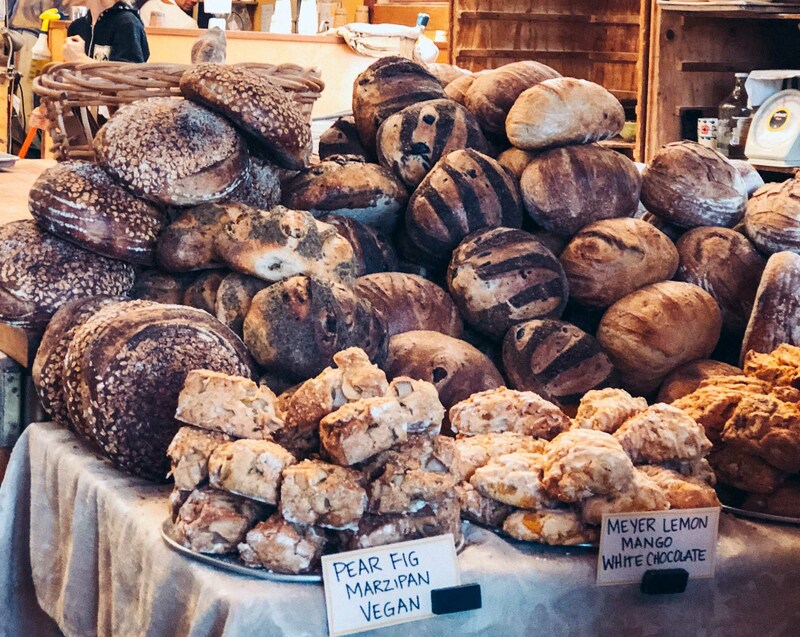 We flew up from San Francisco and I’ve written a full guide to how to spend three days in Portland, plus a guide to the best vegetarian restaurants in Portland. Disclosure: Visit California, Sonoma County Tourism and some of the individual companies covered helped put our trip together. Places that were sponsored in Sonoma were: Camellia Inn; Vintners Inn; Healdsburg Shed and Backyard. Please note that regardless of sponsorship, all opinions are always my own.